ברצוני להביע את הערכתי הרבה לעבודתך המקצועית בשימור פרטי בניין מעץ, במבנים לשימור בתל אביב. לאור נסיוננו המשותף בשימור חלקי עץ במבנה לשימור ברח' שינקין 65, ברצוני לציין לטובה את עבודתך המקצועית בטיפול בחלקי העץ המקוריים שנשמרו בבניינים אלו. עבודות שימור העץ הניבו תוצאות סופיות מעולות. אני חש סיפוק רב מתוצאות עבודות השימור, לאחר שנים מתום העבודות. Jeremy Zetland was recommended to me several years ago as a reputable furniture restorer. He restored for me a water-damaged and cracked c.1825 English folding port table. The result was excellent. The water damage was no longer noticeable and the patina of the table top surface was as it was when I bought the piece. I have recommended him to friends and clients and they have all been satisfied with the results. ירמי שיפץ עבורי רהיט ארט דקו גדול שהיה במצב רעוע ביותר. הרהיט חזר אלי יפה, יציב, בעל חיים חדשים ועם כבוד. 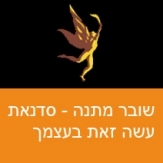 היום הוא עומד במקום מרכזי במשרד שלי. עבודתו של ירמי היתה לשביעות רצוני והייתי ממליץ עליו כרסטורטור מומחה לעץ לכל. ברצוני לציין באופן חיובי ביותר את שחזור ויטרינת הכניסה לבניין לשימור מחמיר ברח' שנקין 65. קיבלת לידיך פריט נגרות כמעט בלתי מזוהה, אשר מלכתחילה לא היתה כוונה לעשות בו שימוש כלשהו מפאת מצבו הגרוע, והצלחת להביאו למצב "חדש" והתקנתו במומחיות רבה באתר. 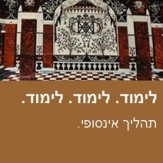 מקוים לעבוד אתך גם בעתיד. 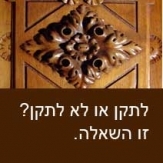 ירוד מאוד. אחרי חודש של עבודה, קיבלתי בחזרה כיסא מושלם, זוהר ושמיש לחלוטין. אותה עבודה, רק שעכשיו הפציינטים יותר נחמדים". I have known Jeremy Zetland as a professional furniture restorer and conservator since he returned from his studies in the field in Italy. He has restored several pieces of our furniture, including an extremely rare Italian chair that probably dates from as early as the 18th century. These pieces are proudly displayed in our home and we have had no hesitation about recommending Jeremy to others who have sought our advice about such conservation work. Additionally, I am a Judaica collector of 40 years experience. Jeremy has restored several wooden objects from my collection that required the most delicate work and attention. Each item has been returned to me in a superb state and to my complete satisfaction. Jeremy's work adheres to the very highest standards in the field. He always accepts complete responsibility for his work and the satisfaction of his clients. Just a few words to express my appreciation for the unique craftsmanship and faultless service you have provided in restoring furniture both for my own home and for the ambassadorial residence where I work. You have a vast understanding of wood, its finish and design, and are always willing to advise and share your knowledge – no job is too big or too small. Your attention to detail – on modern furniture as well as antique pieces – is excellent. I very much look forward to working with you again.Many thanks.